Filham Park Veterinary Clinic is a small animal veterinary practice operating from a purpose built premises in Ivybridge, in the beautiful countryside of the South Hams of Devon. Our clinic provides wonderful facilities and ample free parking, and is situated within a few minutes’ drive of the A38. 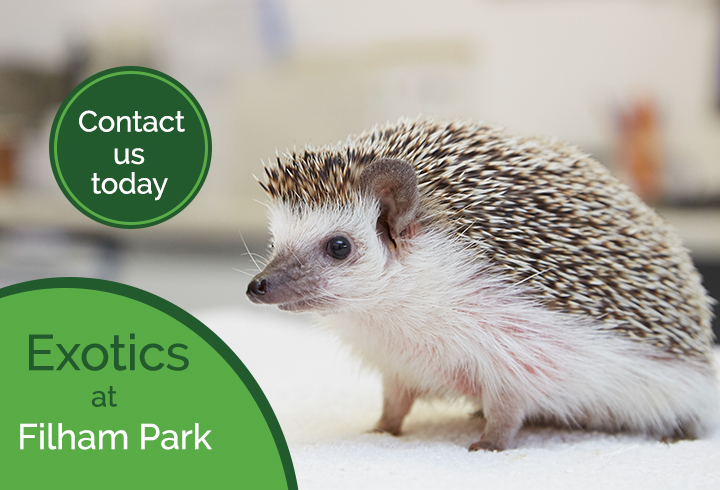 We are very happy and keen to see exotic pets at the practice, and will treat them with the same care and attention that we give to all of our other patients. For more information about our exotic services, please see our exotics page. Filham Park Veterinary Clinic was acquired by CVS (UK) Limited on 15th May 2013 and now operates as part of this larger group of veterinary practices and veterinary service providers.